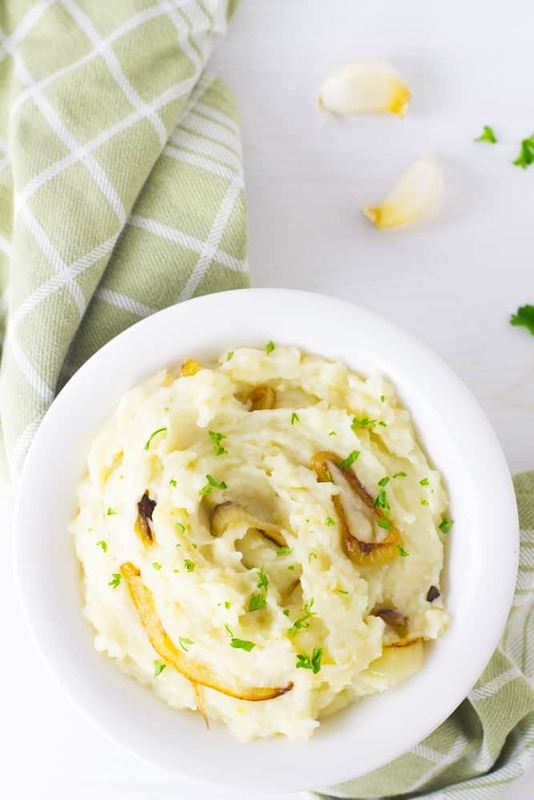 This Vegan Garlic Mashed Potatoes with Caramelised Onions dish is so creamy, done in under 30 minutes and is a definite crowd pleaser! Thursday is probably the most important day of this entire month – of course, Thanksgiving. Also, the day I get called to the bar!!! I’ll officially be an Attorney-at-Law and I am more than excited. It’s going to be weird going from being a student for 22 years of my life to being an attorney…!! I keep joking that I can’t wait to change my email signature to say “Attorney-at-Law”…but I’m not really joking. How cool will that be?! On to the mashed potatoes! 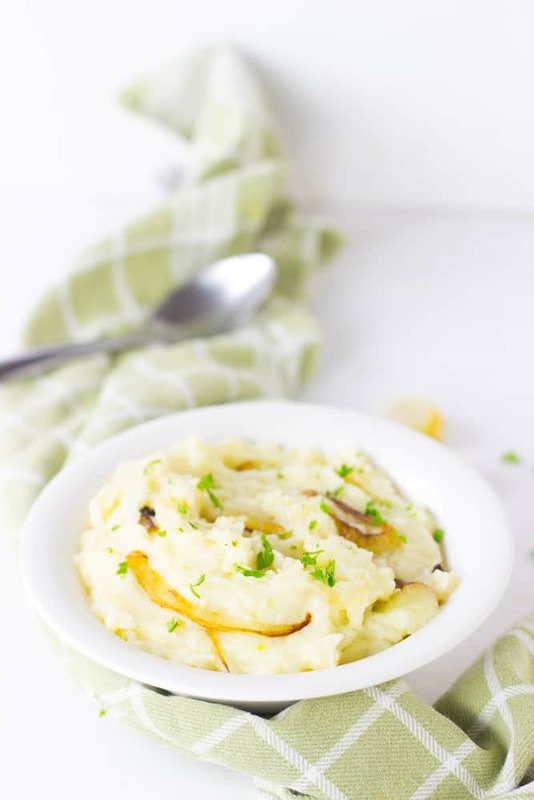 You might be here because you want to hear more about the long process of becoming an Attorney, or because you want to dive face forward into this bowl of vegan garlic mashed potatoes. Or…maybe that’s me. Being the week of Thanksgiving, I knew I had to create a easy mashed potatoes recipe for Thanksgiving, but I didn’t just want any ole recipe. I’ve had amazing mashed potatoes; cue my mother who has spoilt me with her amazing, soft and creamy mashed potatoes aka the best mashed potatoes, and I’ve had take out mashed potatoes that well…was far from impressive. 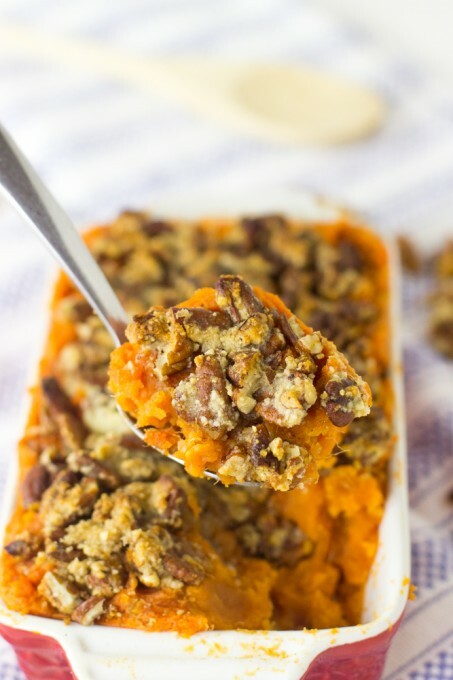 I wanted to emulate my mom’s mashed potatoes, but to make them vegan with delicious add-ins. Boom – accomplishment. 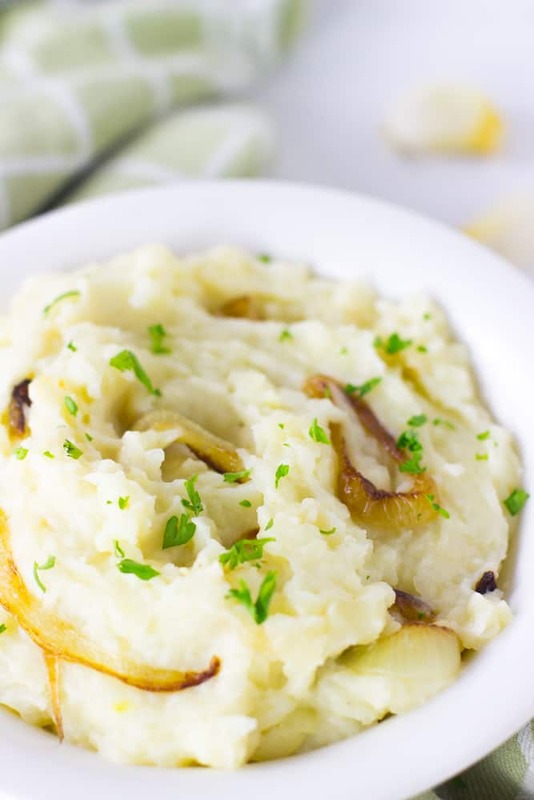 These vegan garlic mashed potatoes. Would I describe them as the best vegan garlic mashed potatoes I’ve ever had? YES. They make the perfect addition to your vegetarian Thanksgiving meal, or your non-vegetarian Thanksgiving meal! 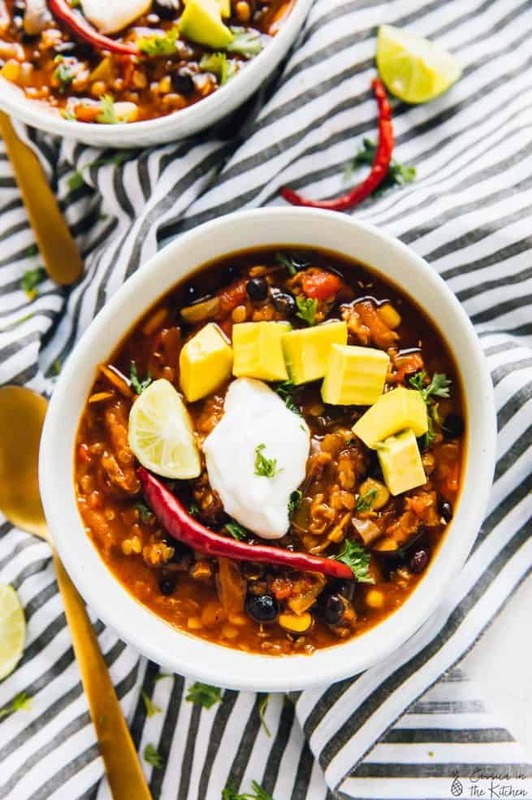 I’m talking warm, creamy comfort in a bowl that’s chocked with healthy ingredients while still being decadent. 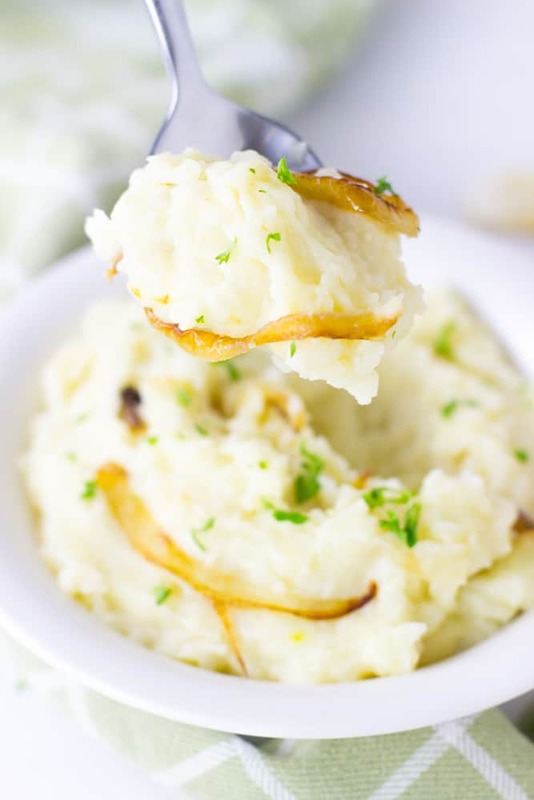 You have your traditional fluffy mashed potatoes recipe made with vegan butter instead (READ: exactly like regular butter), that’s flavour packed with minced garlic and soft, sweet caramelised onions. I did my favourite quick caramelise recipe here that I made in my Apple, Gouda and Caramelised Onions Quesadillas which means onions cooked down in butter until soft and delicious. Typing this, is making me want to run to the fridge for the leftovers. NOW. Best part of all? These mashed potatoes take 30 minutes and under to make, thanks to caramelising the onions while the potatoes are boiling away. These would serve well with an extra pat of vegan butter on top and some fresh black pepper right before serving. Bring a pot of salted water to boil. Add potatoes, skins removed and boil for 20 minutes until fork tender (you can stick your fork into the potato and it slides right out). While the potatoes are boiling, Heat 2 tablespoons of the vegan butter in a pan over medium high heat. Swirl the onions around to ensure it's all covered, and allow to caramelise for 15 minutes, stirring once every 5 minutes. The onions will be soft enough to cut through with the spatula, and will be very tender. If the oil in the pan dries up, add water 2 tablespoons at a time to help finish cooking the onions. Set aside. Drain and place into a bowl. Using your potato mashed, mash the potatoes for a few seconds until broken up. Place the coconut milk and the remaining vegan butter in a bowl and microwave for 45 seconds until hot. Add to the mashed potatoes with the garlic and salt and mashed all the ingredients together with the potato masher until incorporated. Fold in the caramelised onions into the mashed potatoes. If you have time, you can let it sit for a while so the caramelised flavour seeps into the mashed potatoes. Serve with black pepper (optional) and an extra pat of butter. Congratulations!! A Thanksgiving feast is the perfect way to celebrate, and I these mashed potatoes look fantastic. I love, love, love caramelized onions! 🙂 Happy Thanksgiving! Mmmm, mashed potatoes and caramalised onions go so well together. Proper comfort food. 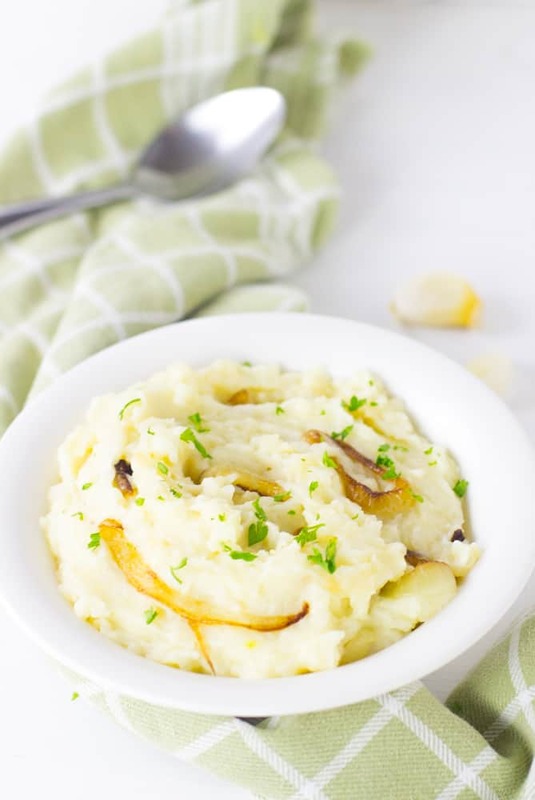 These mashed potatoes look so comforting and delicious! Love the garlic, amazing flavours! Bookmarking to try! My Mom makes the best mashed potatoes too, they are so creamy and delicious! When I am home sick I crave them!! It must be a “Mom thing” to make really good mashed potatoes! And congratulations!! It is so exciting that your getting to start the next phase of your life! I’m getting hungry just from looking at that mashed potato and caramelized onion dish. DO you celebrate Thanksgiving in Jamaica? 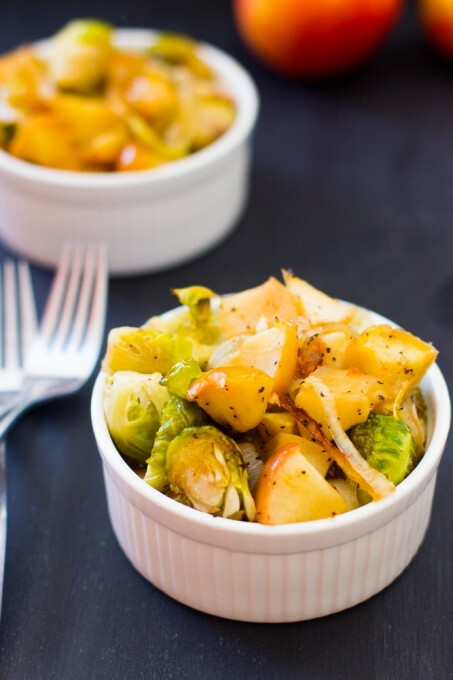 I absolutely LOOOOOVE the addition of roasted garlic- GENIUS! I also loved you could make this wholesome classic your own and vegan! Hooray! Hey! We don’t officially, but I love the thought of it! Thanks Sophia! 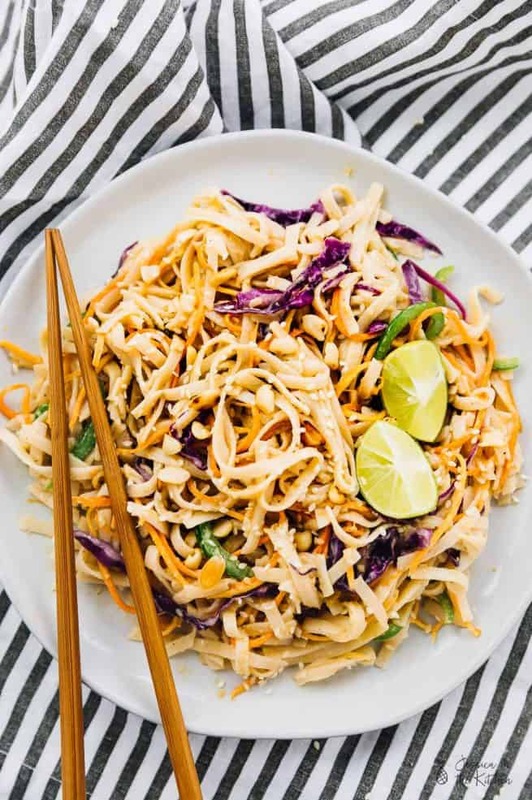 Oooo, I never thought to throw in caramelized onions – love that! Congratulations on your accomplishment Jessica! These mashed potatoes look both creamy and buttery. Ummm yes. That bowl is just begging for a faceplant. Holy moley, Jessica! These mashed potatoes look completely perfect. And I’m kinda craving them and it’s not even 7:30am!! Congratulations, Jess!!!!! I’m so excited for you! I know that feeling of being in school for-bloody-ever, with the finish line feeling so far away. It’s a huge accomplishment. You should be so proud of yourself and make sure to celebrate like crazy! 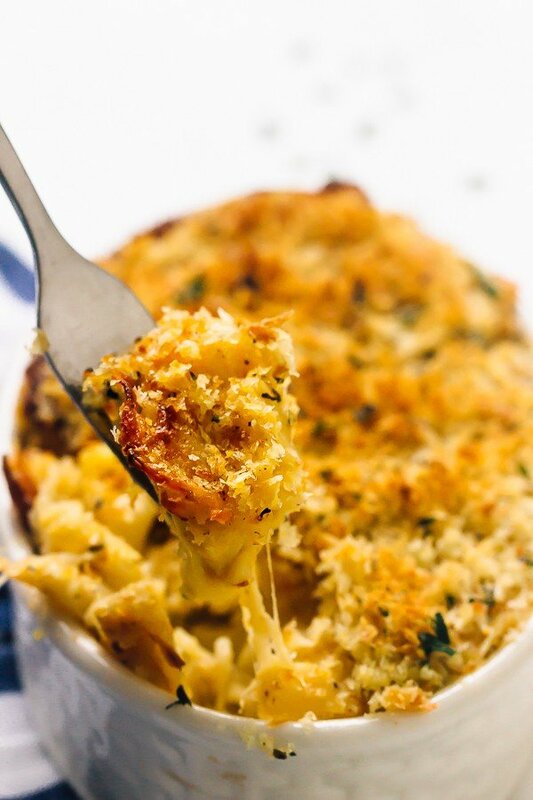 And pass me a bowl of this amazing mashed potatoes while you’re at it. The lighting in your photos is just unreal – your photos are always incredibly beautiful. These potatoes look absolutely perfect!! Pinned. CONGRATS on officially being a lawyer!!! Hooray! and ooooh girl. Caramelized onions in mashed potatoes??? PINNING! This sounds so good!!!! I did have a question, is the coconut milk the kind from a carton that’s been thinned out, or is it the full fat kind from a can? Thanks!!!!!!!!!! It’s the full fat kind from the tin can! You’re welcome and thanks!